You can find out why the Geordie’s have a reputation for offering a warm welcome during a stay at Newcastle-upon-Tyne. The city is a lively place to visit, justly famous for its bars and clubs, but with plenty to offer everyone. There are lots of different areas to explore – Grainger Town in the centre of the city is a stunning example of neoclassical style, while the once-industrial area near the Tyne now offers plenty of entertainment options. The imposing Tyne Bridge and the famous blinking Millennium Bridge link the city to Gateshead and the cultural offerings of the Sage Centre and the Baltic Gallery. Branches of two of the best-known boutique hotel chains are found amongst the dramatic architecture on the banks of the Tyne. 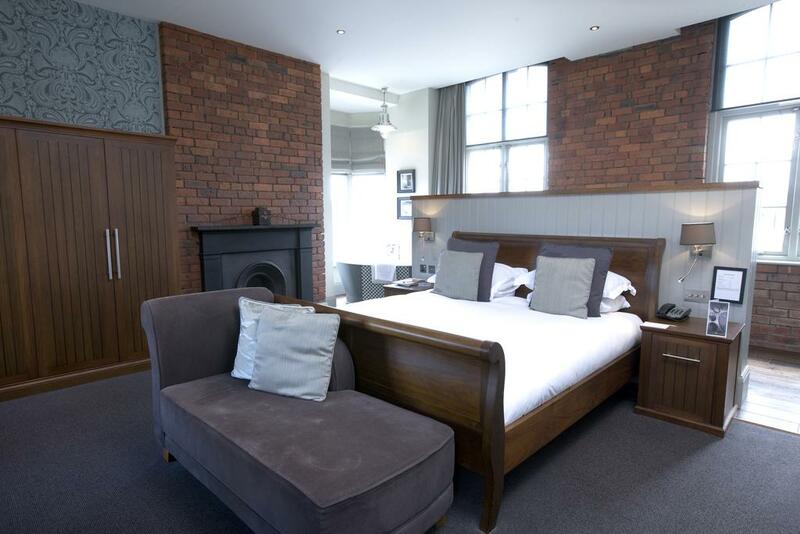 Hotel Du Vin (****), pictured top, have converted the former office of the Tyne Tees Steam Shipping Company into a stunning 42 bedroom hotel. Decorated in the smart and unfussy modern style associated with the chain, the rooms really make the most of the industrially-sized rooms. Open plan suites have mezzanine levels with roll top baths, while the executive suite – known as the Dom Perignon – has more than enough room to accommodate a 9 foot bed. 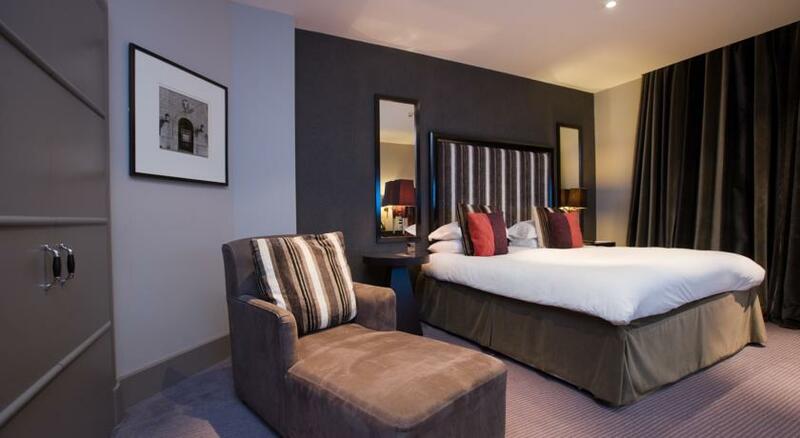 Newcastle’s Malmaison (****) is situated on the Quayside and has incorporated a shipbuilding theme into its décor. Many of the rooms have views of the striking Tyne Bridge. There is a luxurious feel throughout the hotel. Decorated in deep sumptuous colours, there are lots of special details to discover, such as the candle-lit stairway that leads to the brasserie. The hotel offers a wonderful place to relax, with a spa and a gym, and a bar known for serving up brilliant cocktails. You can explore another side to Newcastle at Hotel Indigo (****). The hotel is situated amidst the neoclassical Grainger Town area of the city, and its décor cleverly references the patterns and shapes of the local architecture. Comfort levels are definitely twenty-first century too, with features such as rainfall showers in each of the rooms. A Marco Pierre White steakhouse and grill tops off the list of attractions. Also in this area of Newcastle is Grey Street Hotel (****) in a Grade II listed building, situated on what has been awarded the title of Britain’s best street, with the grand Theatre Royal just down the road. The rooms are simply and stylishly decorated, allowing the focus to be on features such as the sash windows and high ceilings. The hotel’s ‘Unique Suites’, meanwhile, feature split-level floors. It’s easy to while away an evening in the cosy cellar bar. Stylishly decorated room at the Grey Street Hotel, Newcastle. 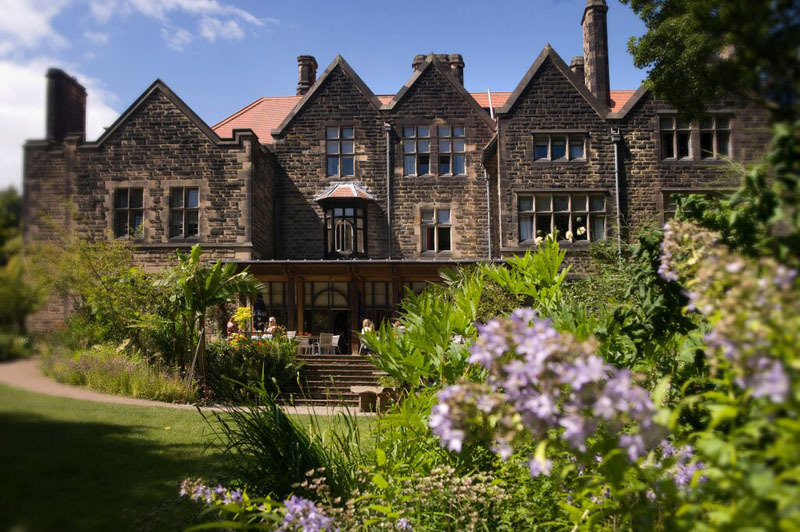 Slightly out of town but only a short taxi ride to the city centre, the Jesmond Dene House (****) has a gorgeous woodland setting. This grand building has an interesting story. It was originally built in the Georgian period and was expanded in the late nineteenth century in the Arts and Crafts style. This has resulted in some beautiful features, such as stone carvings and stained glass lovingly incorporated into the hotel. Each of the 40 rooms is different, with surprises including a secret staircase and private terraces and gardens. The award-winning 3 AA Rosette restaurant is the perfect way to top off a special stay. For leisure and business travellers looking for boutique-style accommodation in Newcastle, Roomzzz aparthotel may be the option they’re looking for. This 19th century Grade II listed townhouse was once the home of Sir Robert Hopper Williamson, the former Recorder of Newcastle and chancellor of Durham. 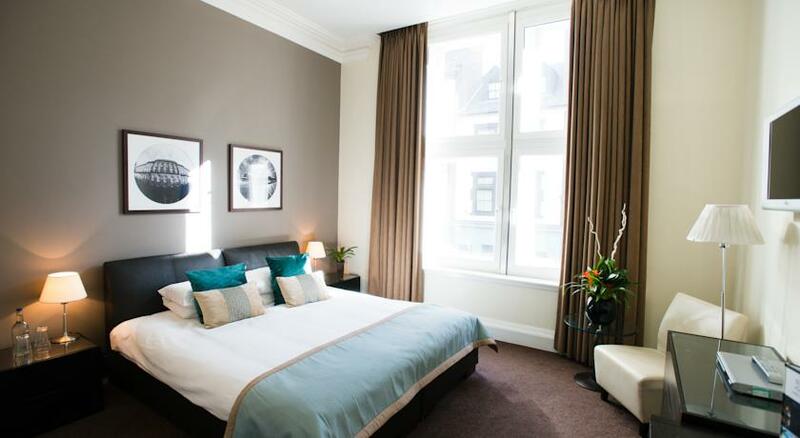 But now, however, the handsome property has been sensitively converted in to 14 stylish and luxurious serviced apartments which sleep 2-4 people. Roomzzz Newcastle apartments boast funky interiors, bargain day passes for a nearby gym and a “Grab & Go” breakfast with muffins, pastries & fruit.